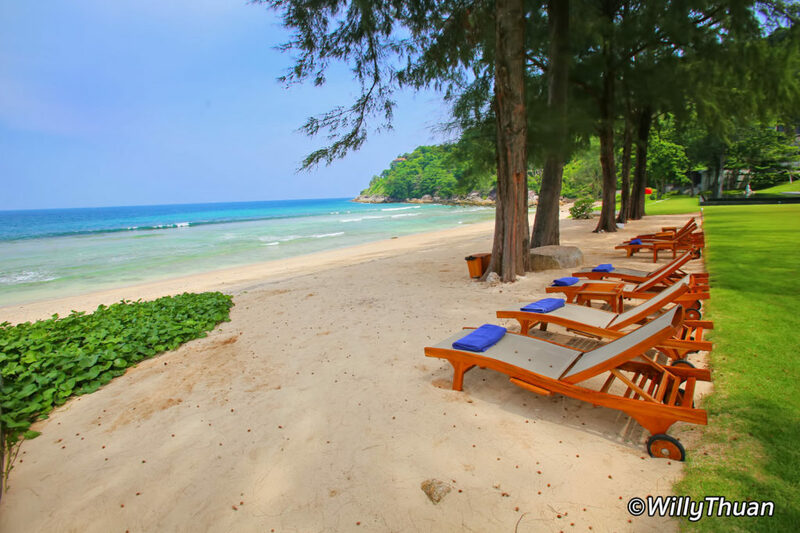 There are no less than 40 beaches now on our list! 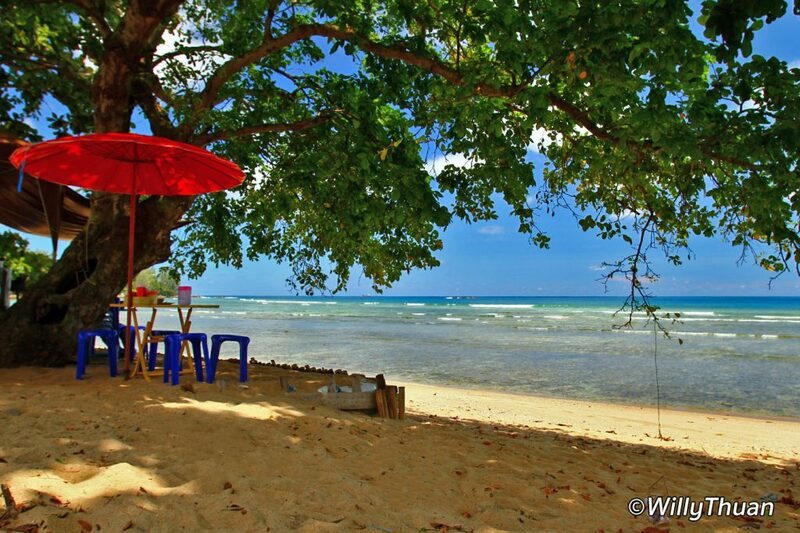 A few are crowded, a lot are quiet, some are hidden, and some are still secret. 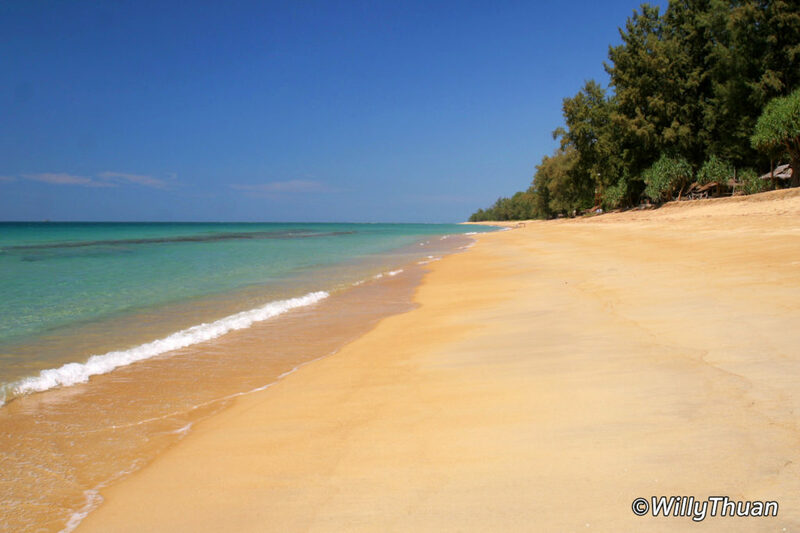 There are so many beautiful beaches where you can walk alone for kilometres, even during high season. 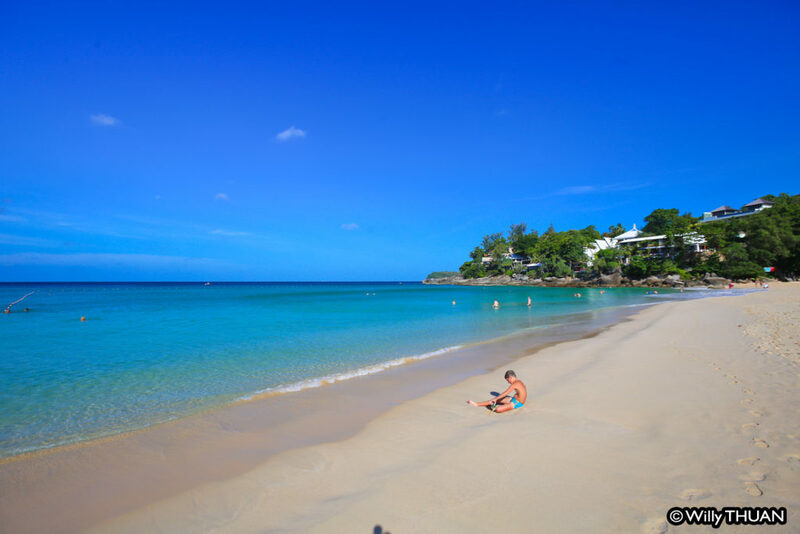 Here is our updated list of Beaches by alphabetical order. 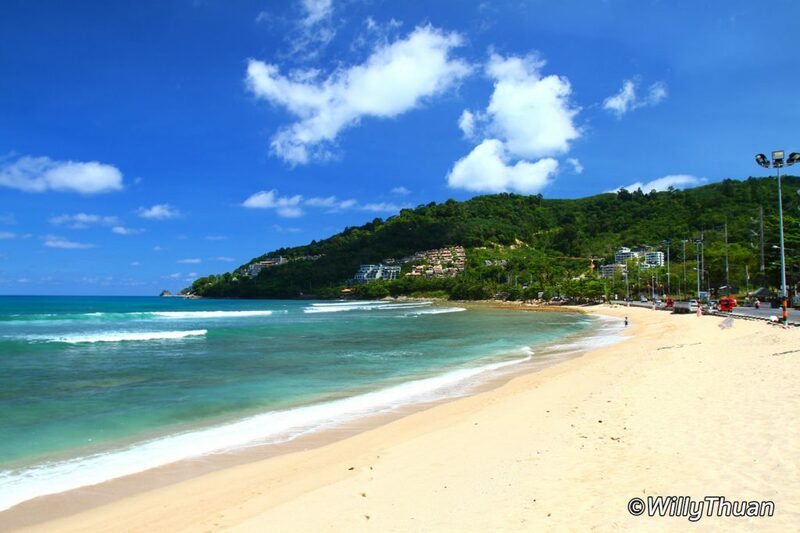 Some are easy to find; some are hidden. 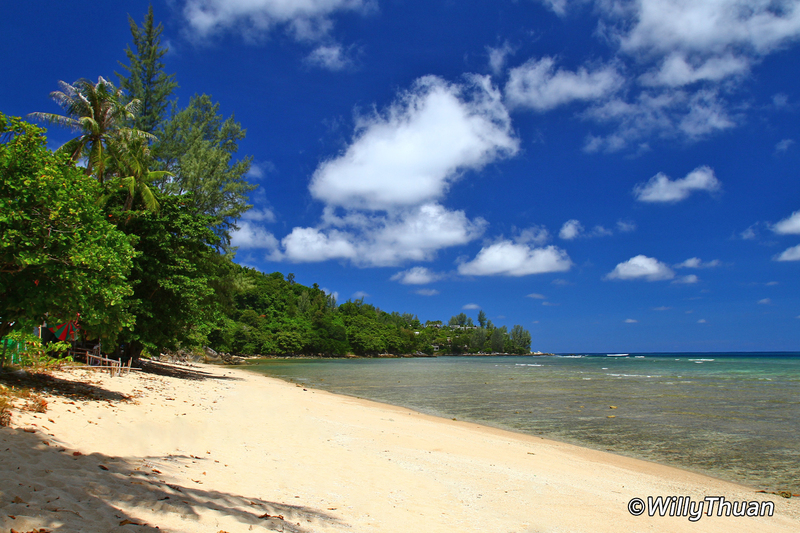 Surprisingly the most beautiful beaches, long and deserted, are just next to the main road! 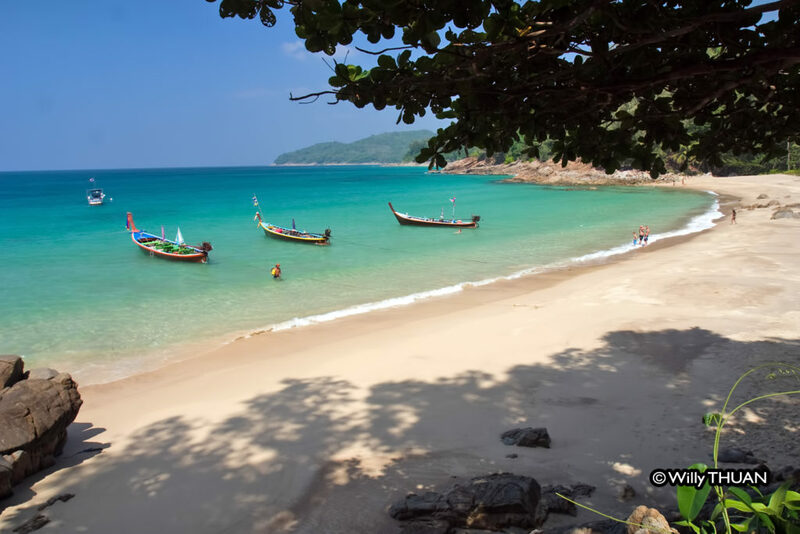 There are two more amazing secret beaches, but we prefer to keep them secret 🙂 So get a bike or a car and start exploring! 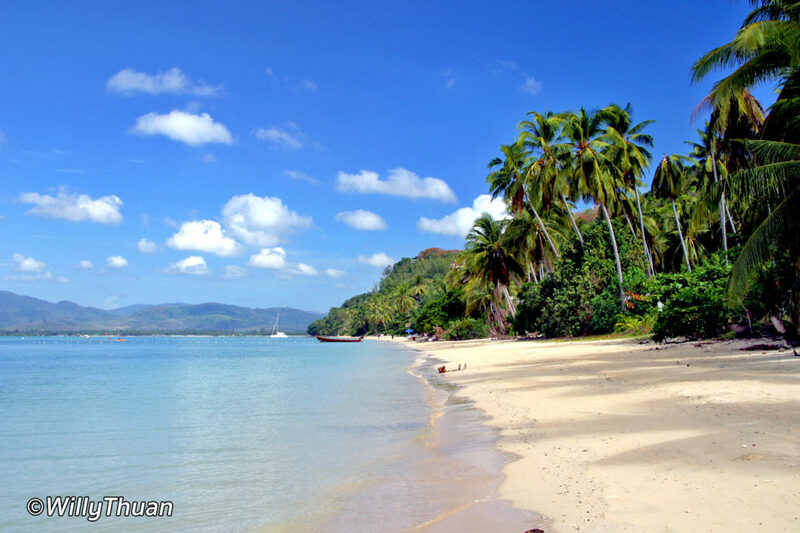 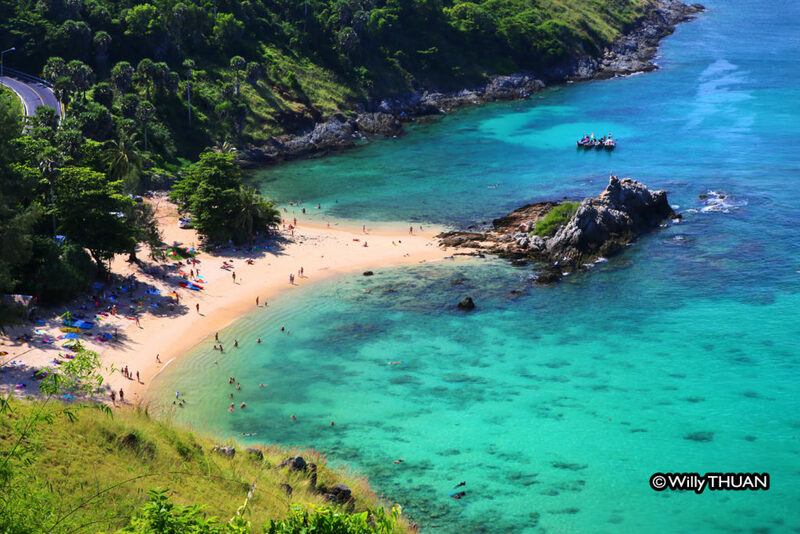 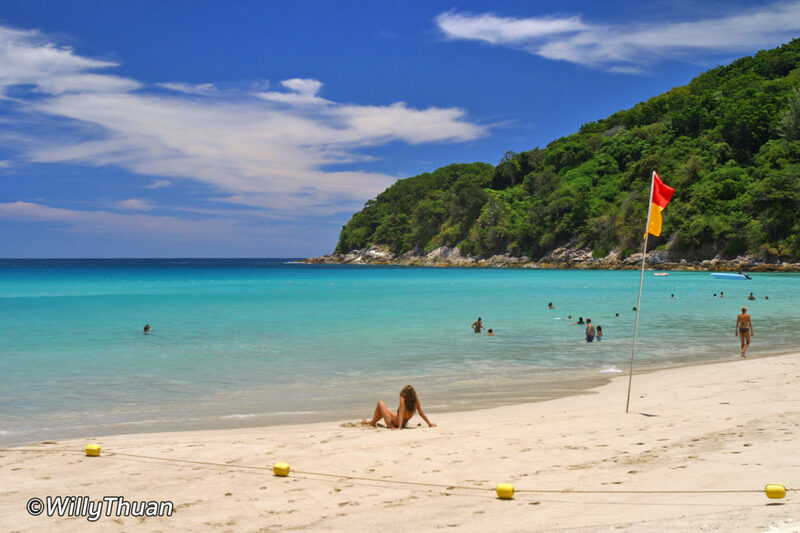 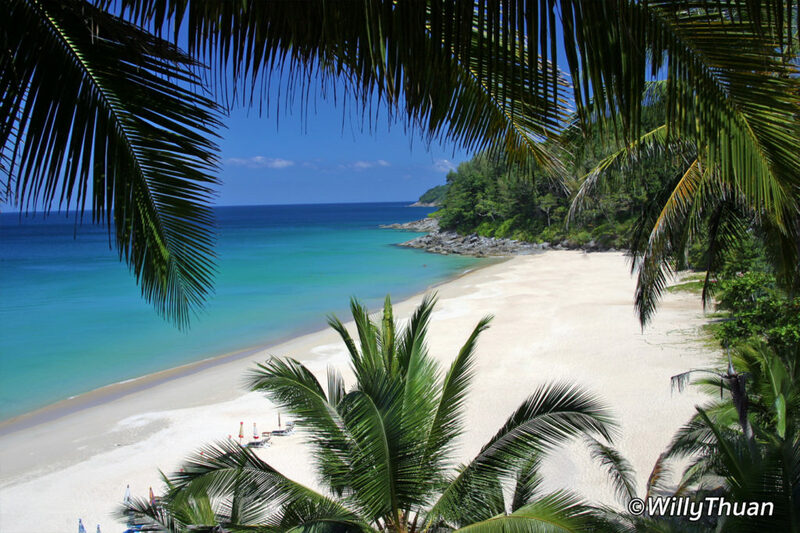 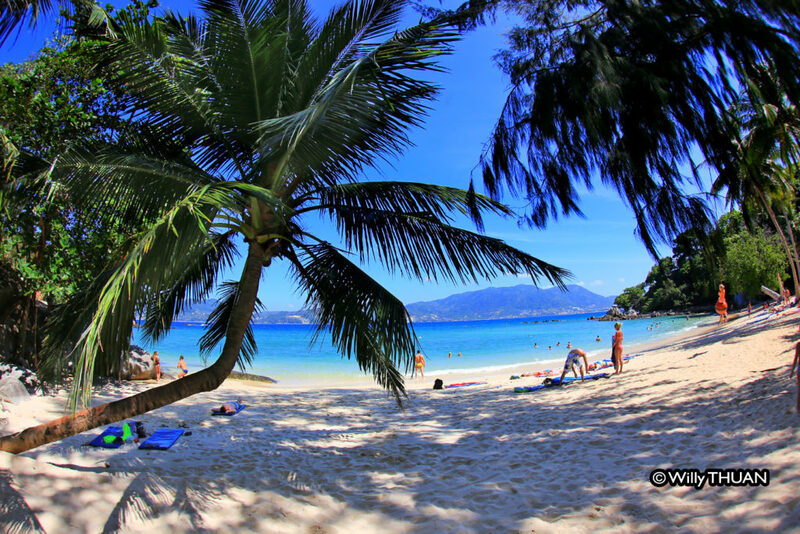 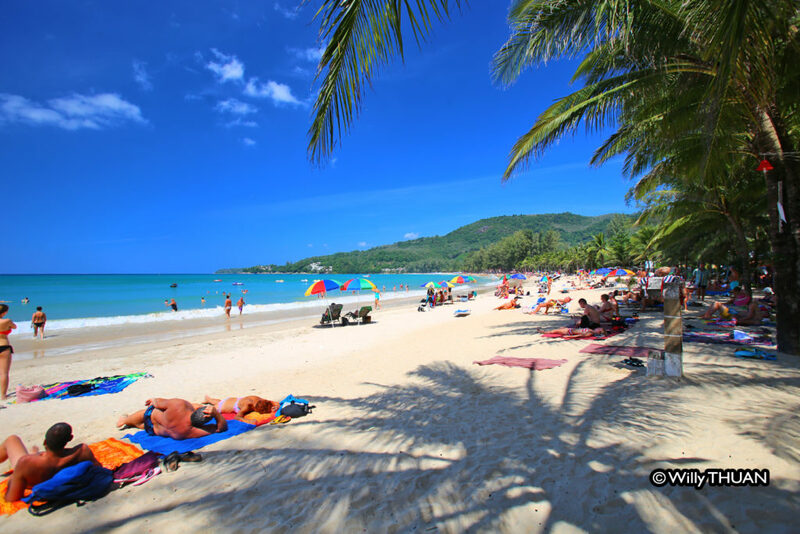 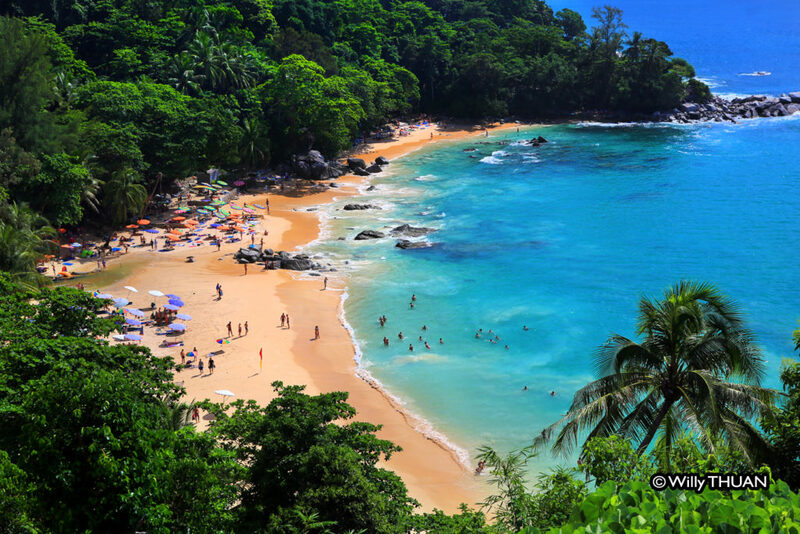 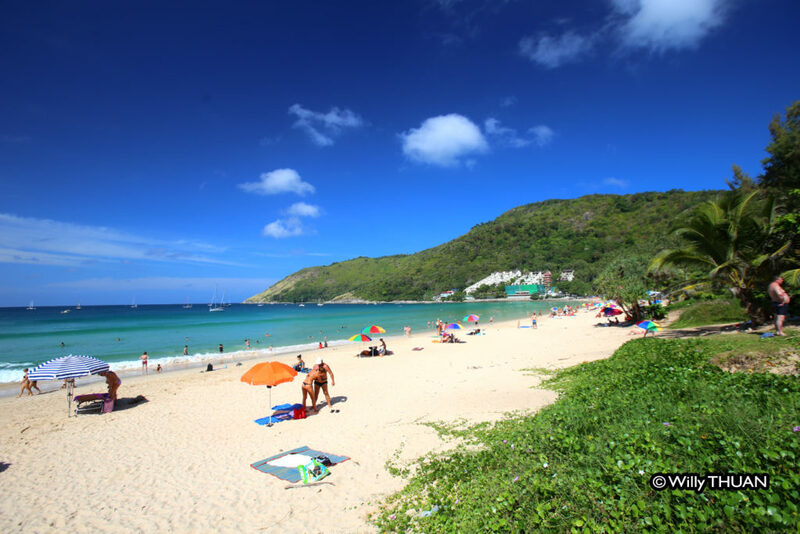 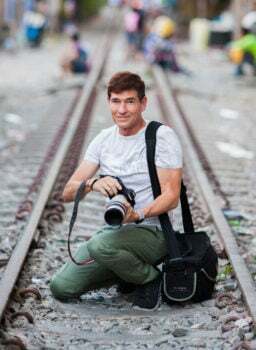 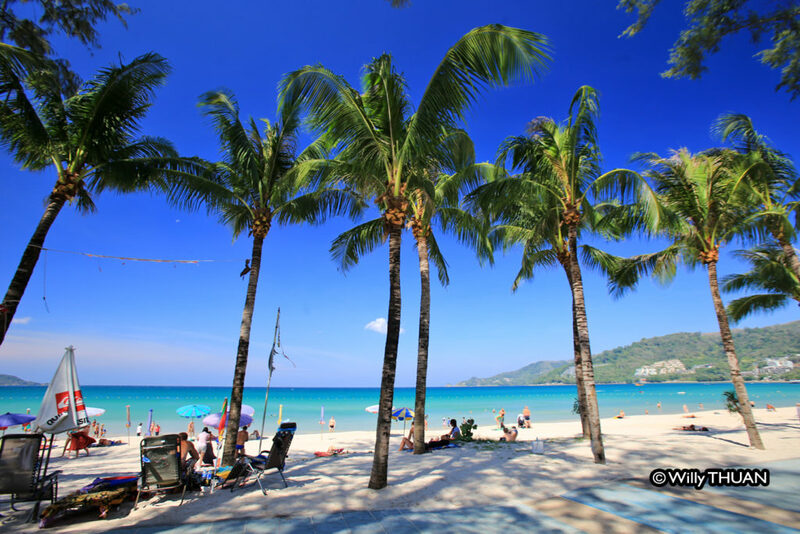 Stay away from the crowd and discover Phuket! 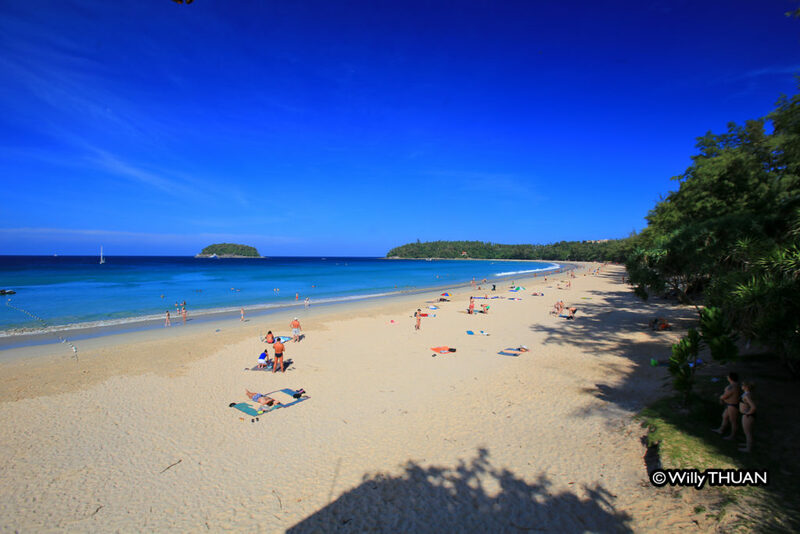 Friendship Beach is not a swimming beach since it is on the east coast but offers beautiful views on the islands. 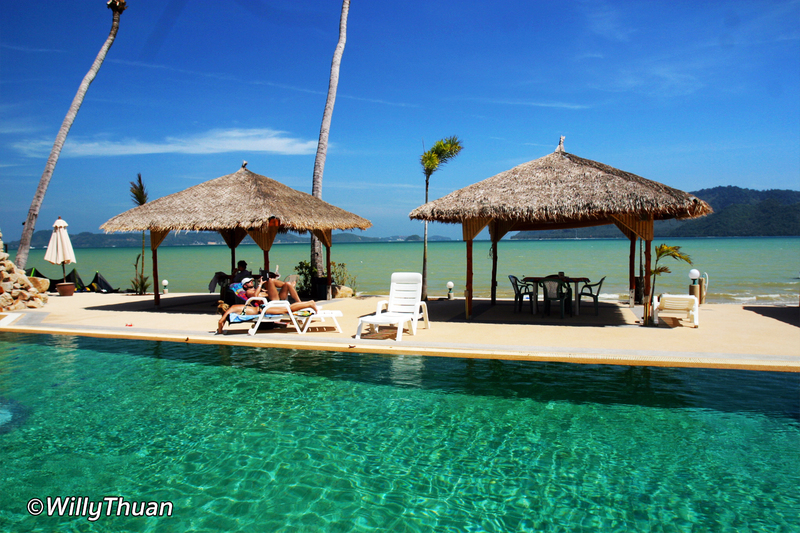 The name of Friendship probably originated from the small resort built there as it is a trendy hangout for expats. 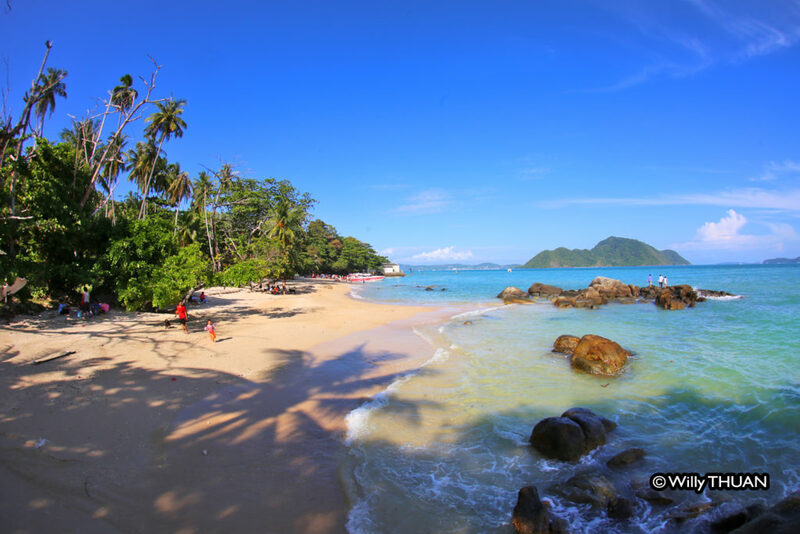 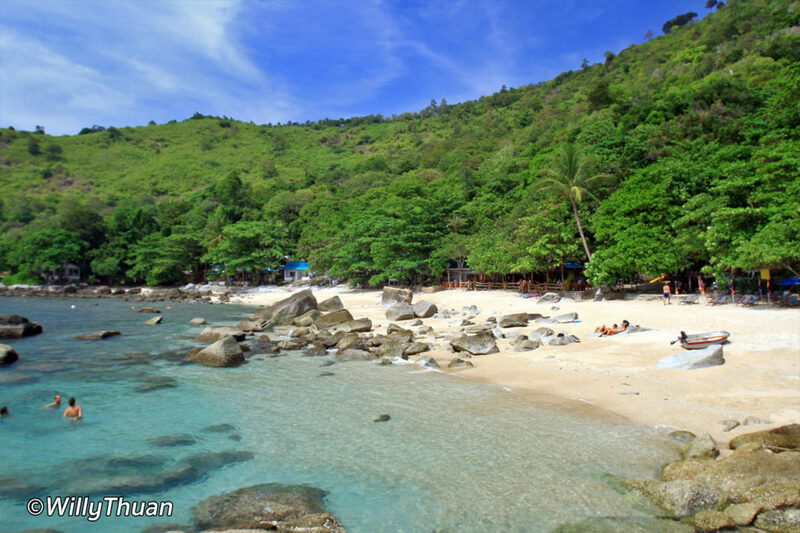 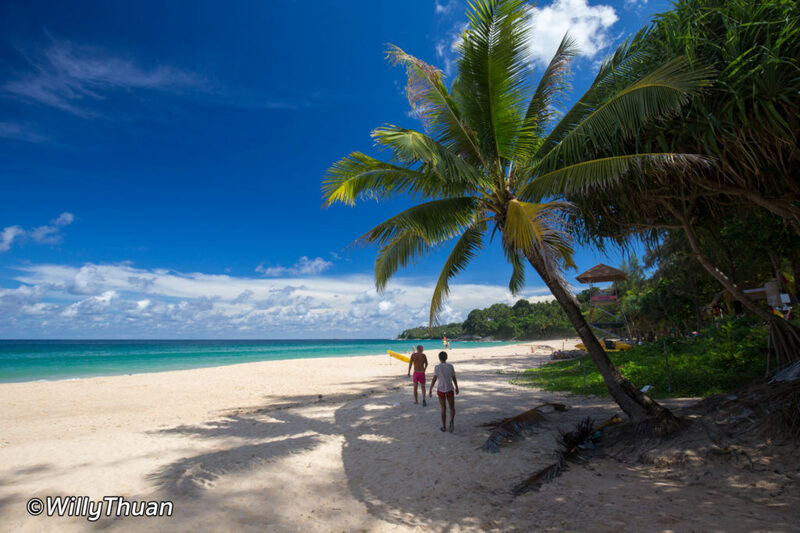 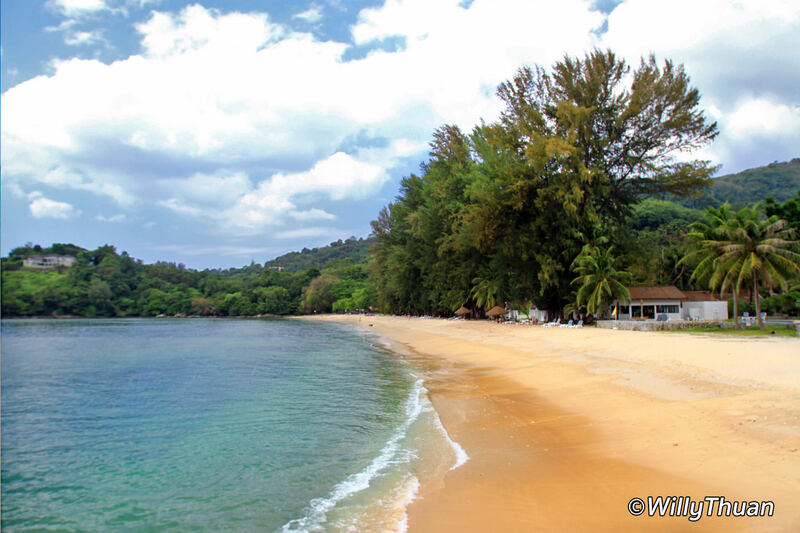 Nakalay beach is another case of beach surrounded by private land which makes makes it difficult for outsiders to access it. 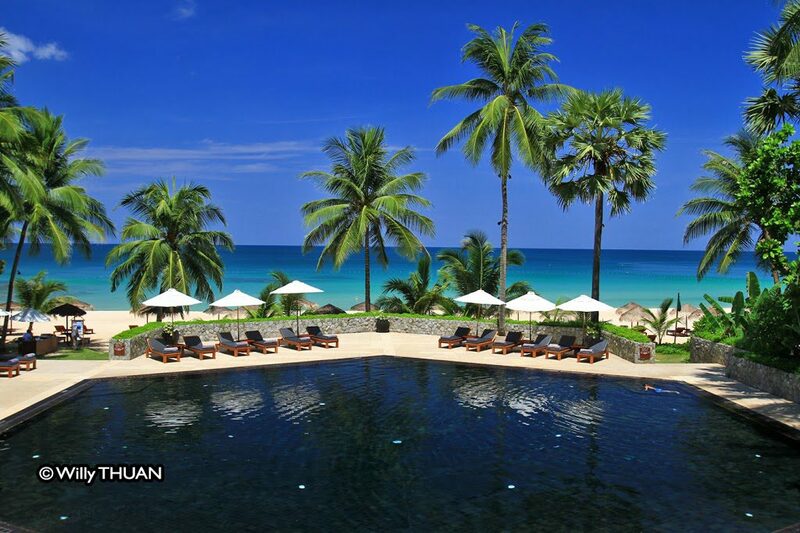 In this case, only the guest from Thavorn beach resort can enjoy it. 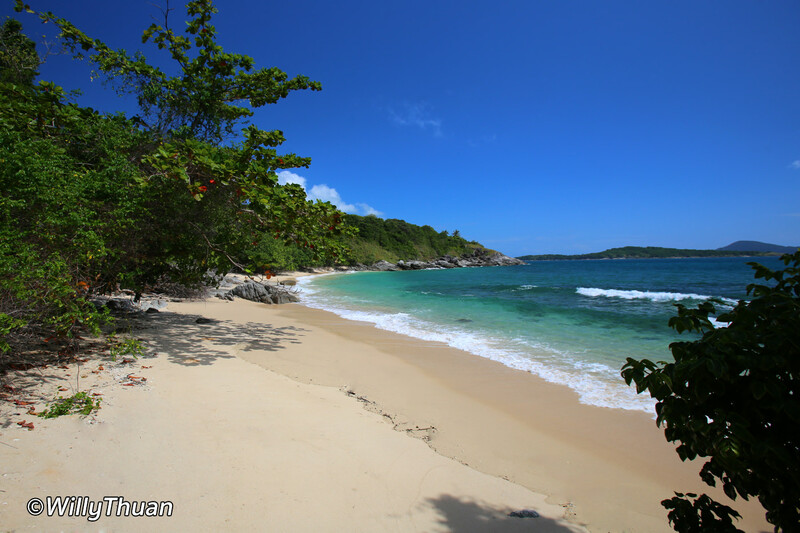 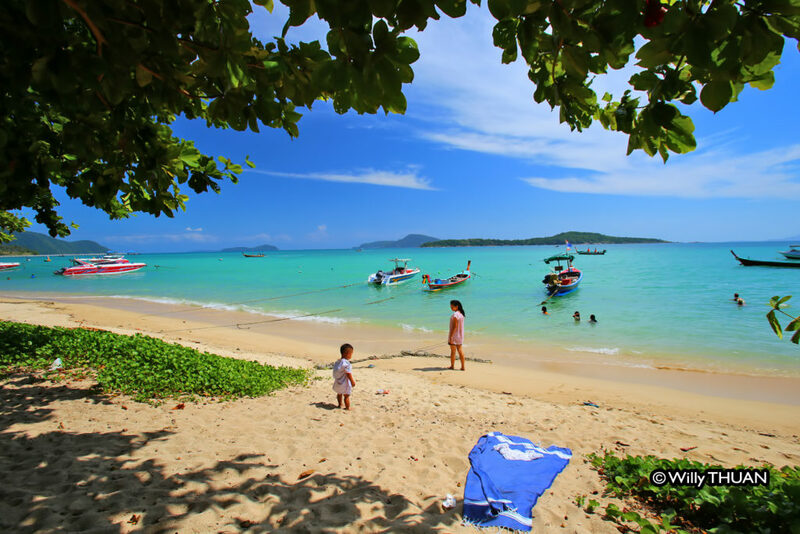 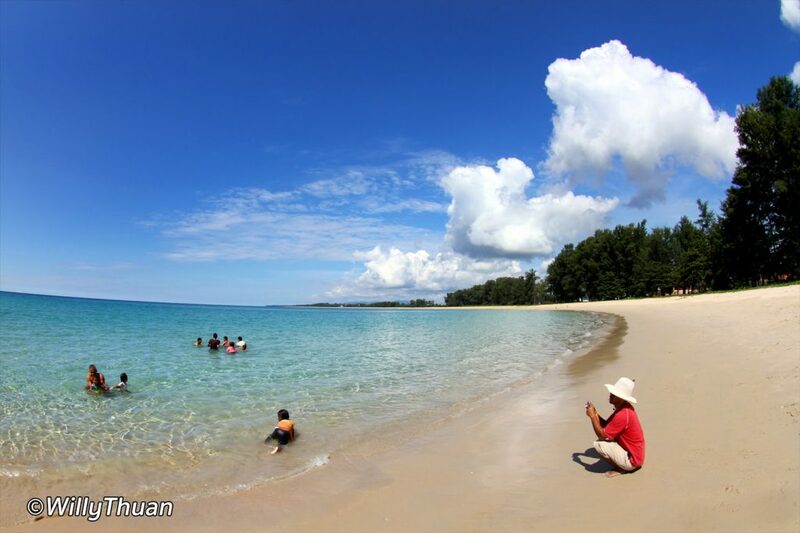 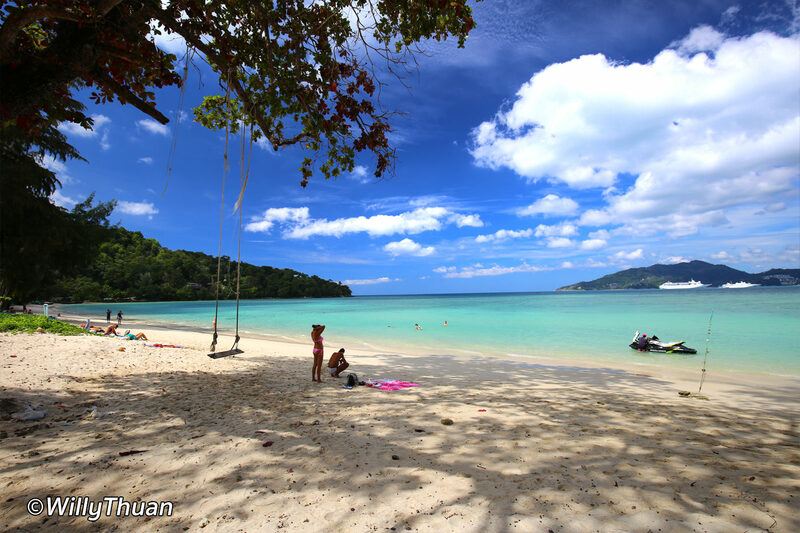 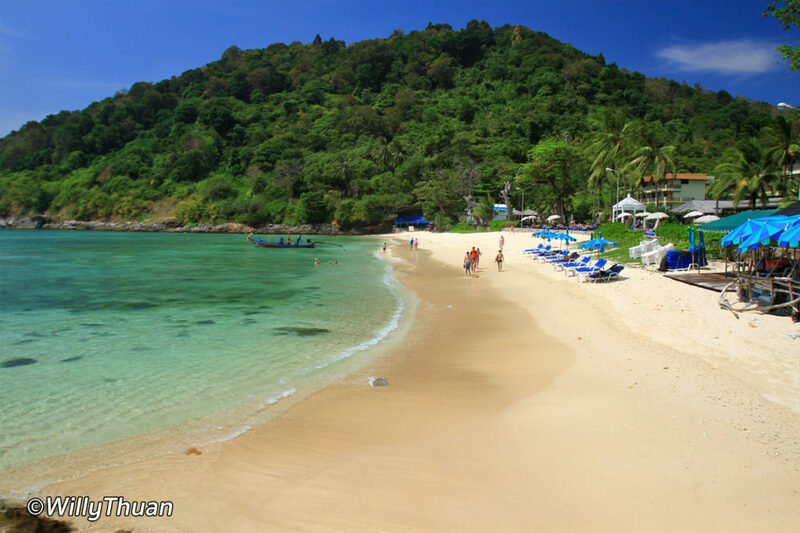 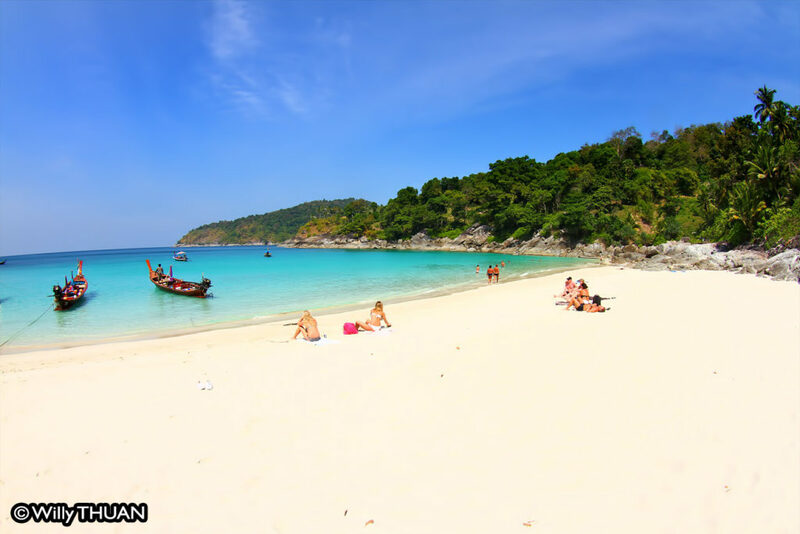 It might not be the most amazing beach in Phuket but it’s large and very good for snorkeling. 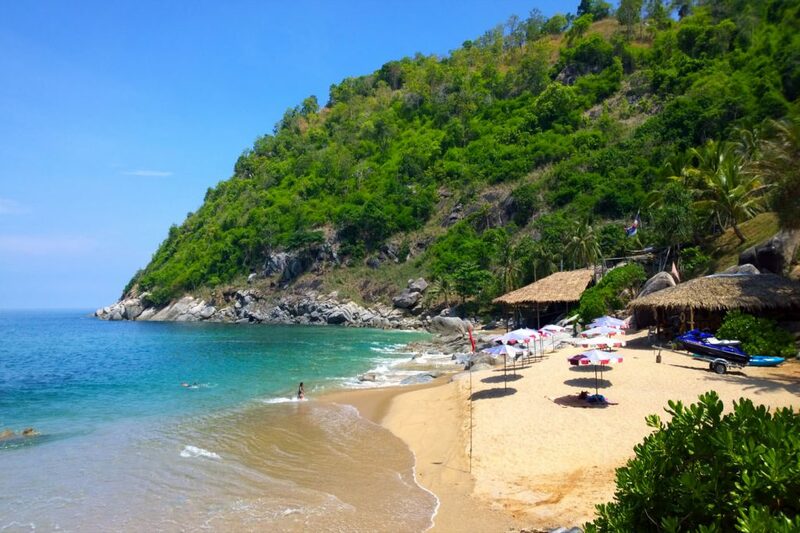 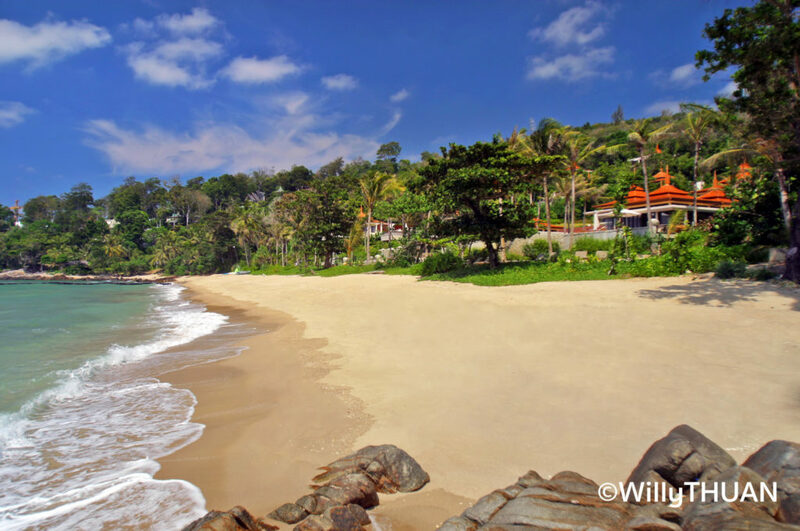 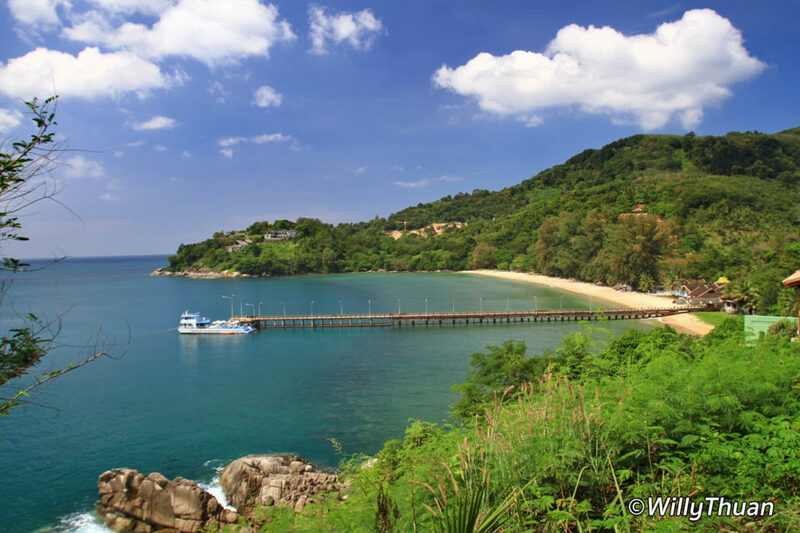 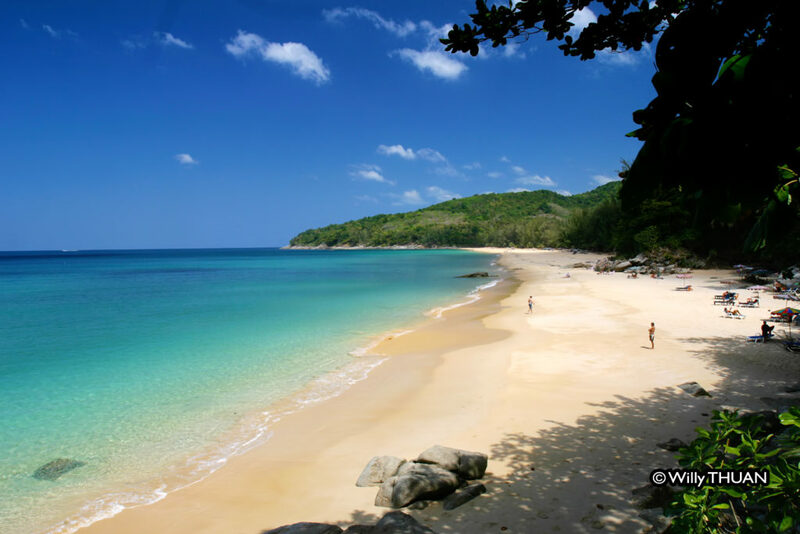 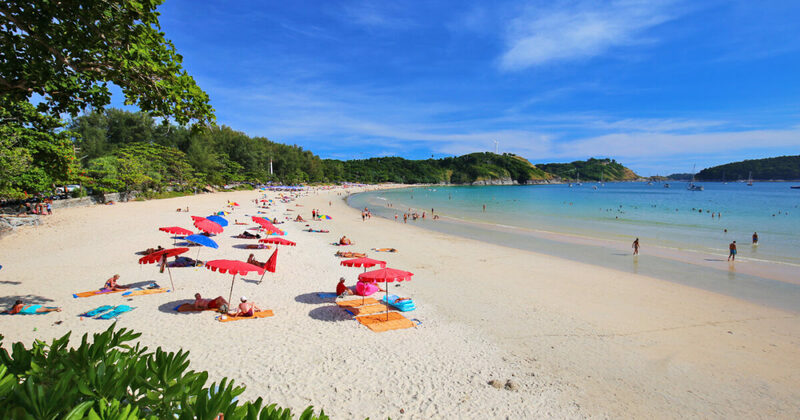 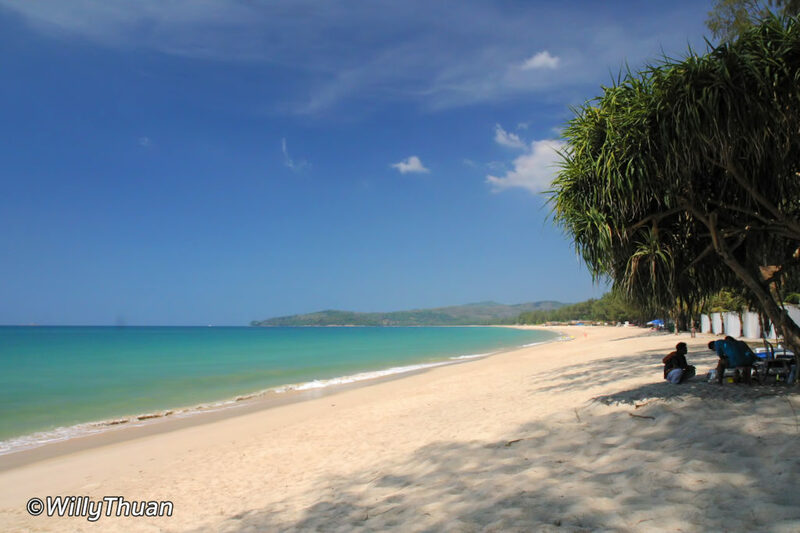 Trisara Beach is just a tiny strip of sand on the west coast, just between Bangtao Bay and Naithon beaches and only accessible from the exclusive Trisara Villas. 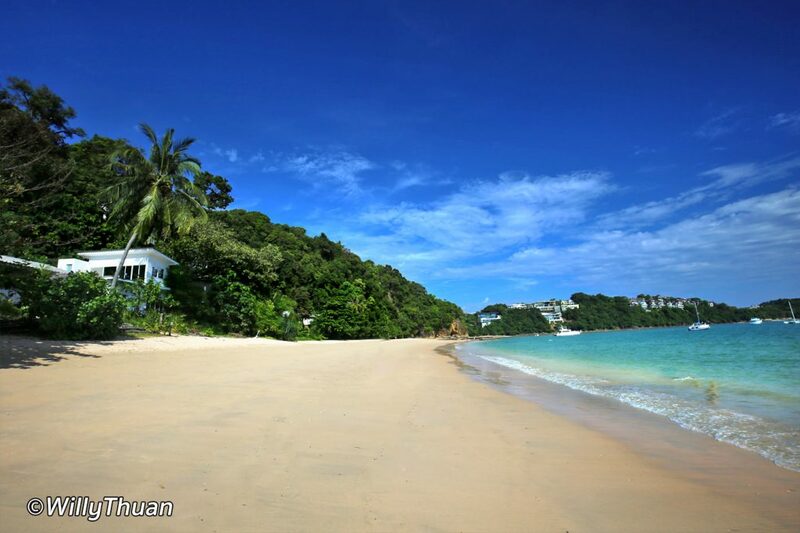 Thavorn Beach, like the three other ‘private’ beaches are not private, but the entire land you would need to cross beyond to the immense Thavorn Beach Village, one of the oldest hotel in Phuket. 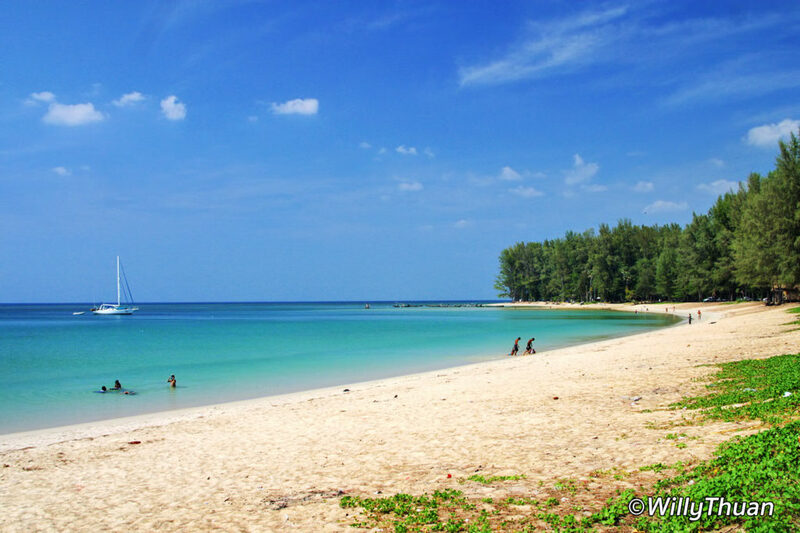 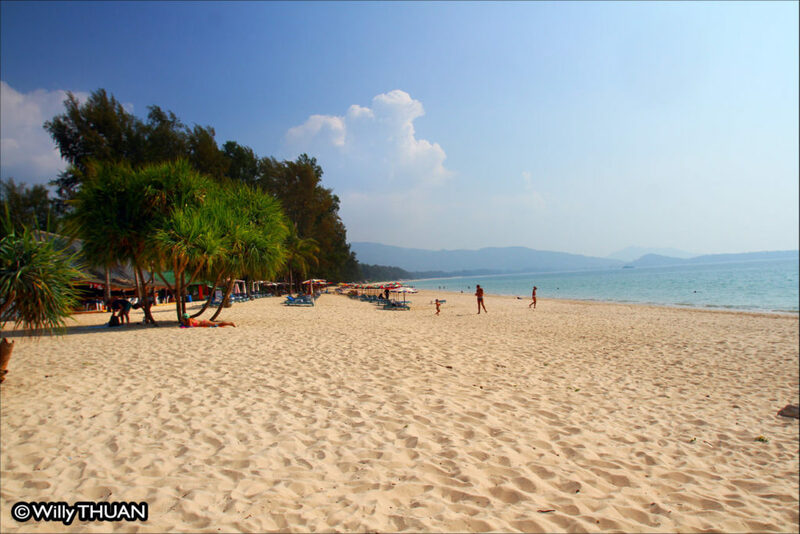 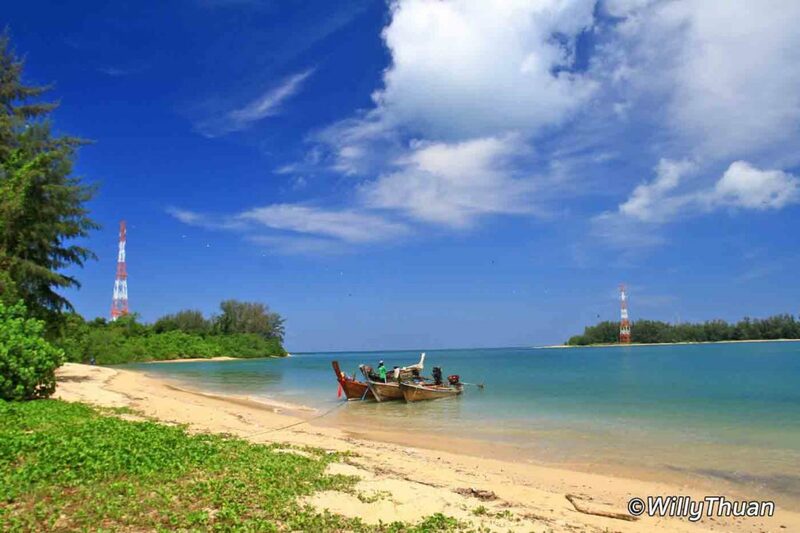 Yae Beach is not a great beach, but since it is hard to find, weI wanted to see it. 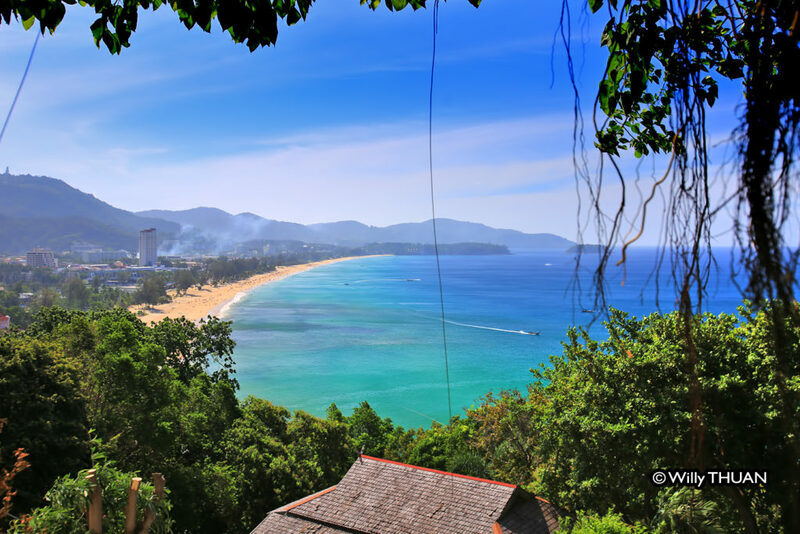 It’s on a cape between Patong and Kamala, and you won’t see much there, just a small hut selling drinks when it’s open.